Israel's Channel 10 suggests, in no uncertain terms, that Prime Minister Benjamin Netanyahu is "determined to attack Iran before the US elections" and that the "time for action is getting closer." "Israel is now closer than ever to a strike designed to thwart Iran’s nuclear drive". 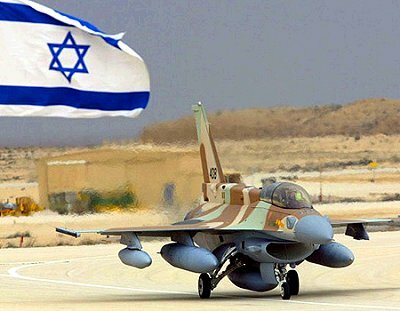 Richard Silverstein underscores the fact that there is considerable opposition within Israel to the Netanyahu-Barak plan to bomb Iran, which would be waged as a means to (allegedly) ensuring the "safety of Israel" against Iran. Is this an Israeli war project or is Israel's prime minister a US political proxy, acting on behalf of the Pentagon? What happens if Netanyahu gives the order to attack? Will this order be carried out by Israel's high command despite extensive opposition from within Israel's Armed Forces? Israel is a de facto US military outpost in the Middle East. US and Israeli command structures are integrated, with close consultations between the Pentagon and Israel's Ministry of Defense. Reported last January, a large number of US troops are to be stationed in Israel. Joint war games between the US and Israel are also envisaged. What we are dealing with is a global military agenda, centralized and coordinated by US Strategic Command (USSTRATCOM) involving complex logistics, liaison with various military and intelligence entities. In 2005, USSTRATCOM was identified as "the lead Combatant Command for integration and synchronization of DoD-wide efforts in combating weapons of mass destruction." This Combatant Command integration also included coordination with America's allies including NATO, Israel and a number of frontline Arab states, which are members of NATO's Mediterranean dialogue. In this broader context of imperial warfare coordinated out of USSTRATCOM in liaison with US Central Command (USCENTCOM), Netanyahu's attack plan against Iran, conveys the illusion that Tel Aviv rather than Washington calls the shots on waging a war on Iran. The Israeli media reports mentioned above convey the impression that Netanyahu and Defense Minister Ehud Barak are in a position to act independently of Washington as well as force Obama into supporting Israel's attack on Iran. Let us be under no illusion, the war plans directed against Iran, which have been on the Pentagon's drawing board since 2003, are established at the highest levels in Washington in consultation and coordination with Tel Aviv and NATO headquarters in Brussels.